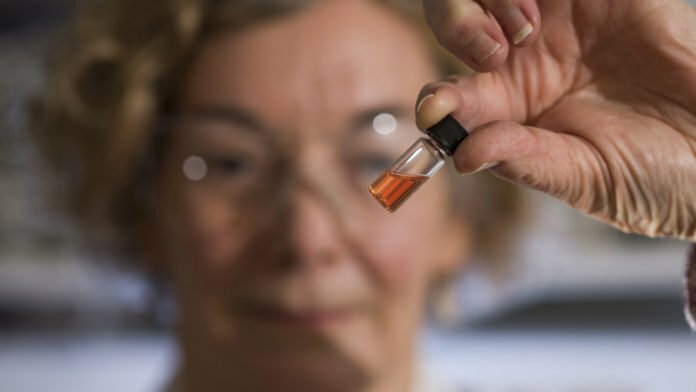 1.1 billion-year-old bright pink pigments. Researchers from ANU and abroad have found the most seasoned colors in the geological record, 1.1 billion-year-old brilliant pink shades extricated from rocks deep beneath the Sahara desert in Africa. Scientists picked the colors from marine black shales of the Taoudeni Basin in Mauritania, West Africa, were the greater part a billion years more established than past color revelations. The fossils range from blood red to deep purple in their concentrated form, and bright pink when diluted. Scientists crushed the billion-year-old rocks to powder, before extracting and analyzing molecules of ancient organisms from them. Senior lead researcher Associate Professor Jochen Brocks from ANU said that the emergence of large, active organisms was likely to have been restrained by a limited supply of larger food particles, such as algae. “Algae, although still microscopic, are a thousand times larger in volume than cyanobacteria, and are a much richer food source,” said Dr. Brocks from the ANU Research School of Earth Sciences. The research is published in PNAS.